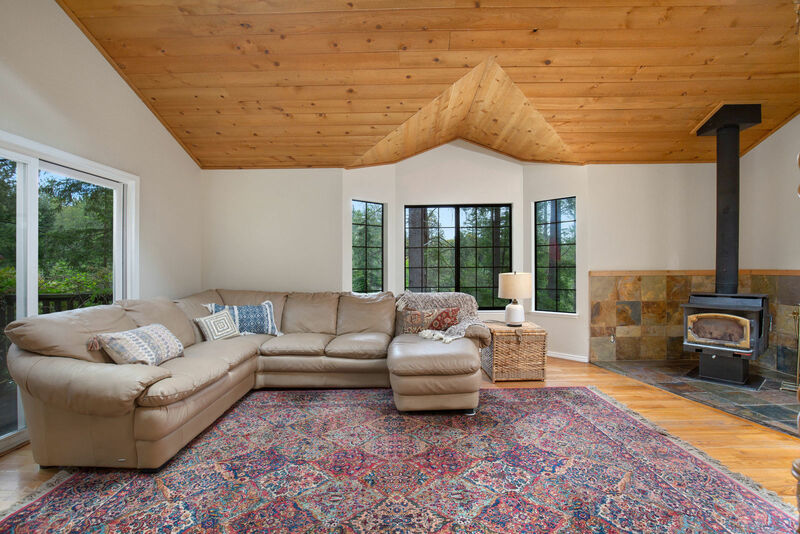 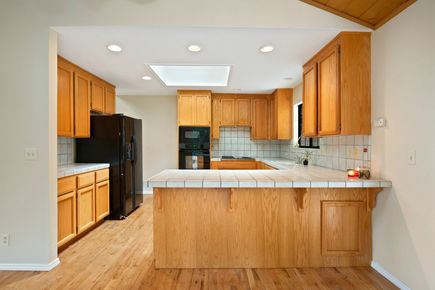 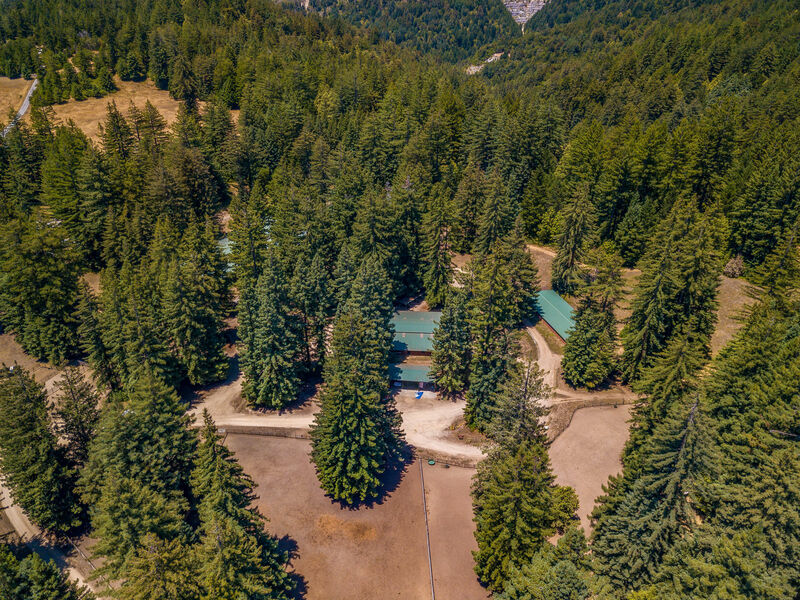 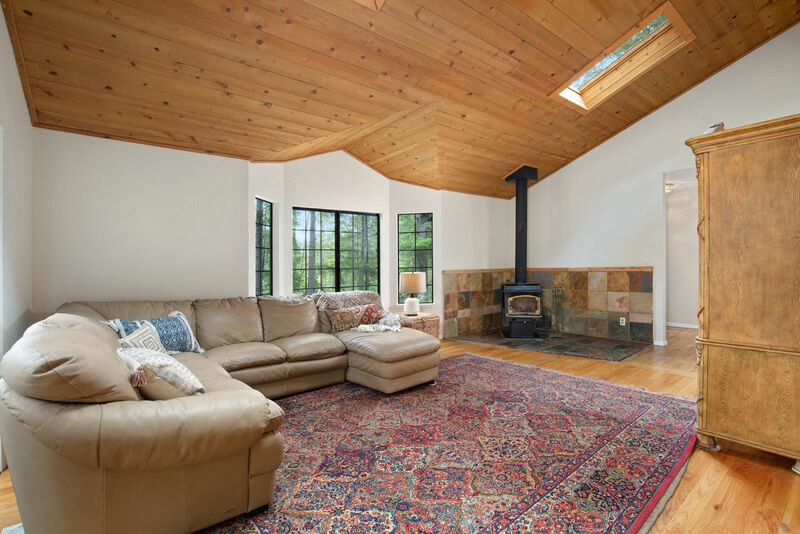 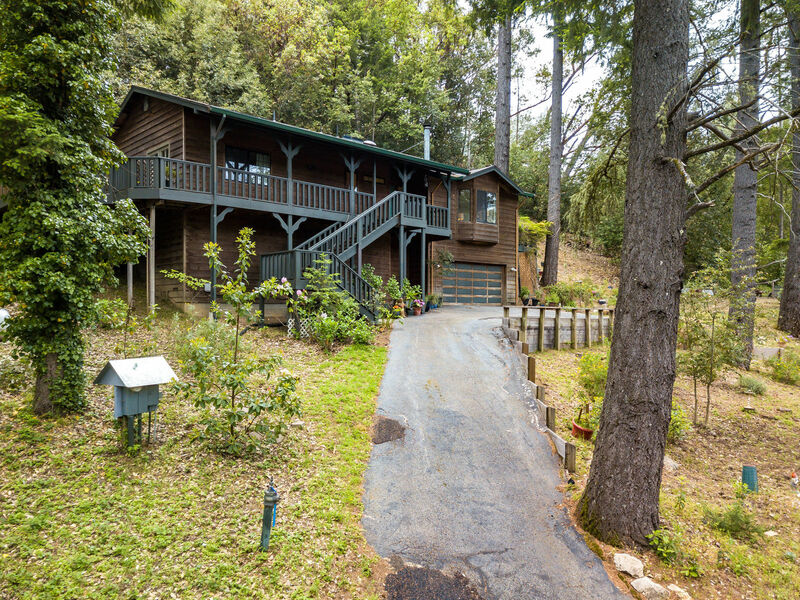 Tahoe style mountain retreat home in beautiful Bonny Doon. 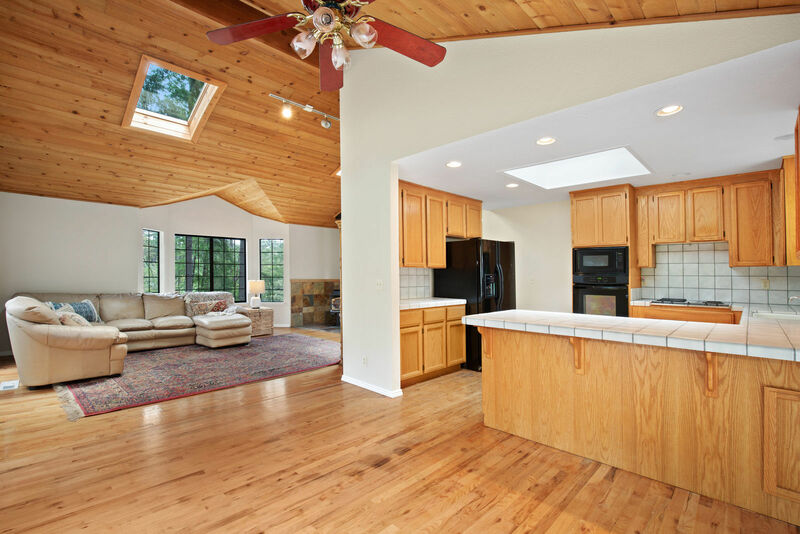 Living spaces have high, open beam ceilings with skylights and large windows bringing in a comfortable amount of warmth and sunlight. At night cozy up to the wood burning fireplace! 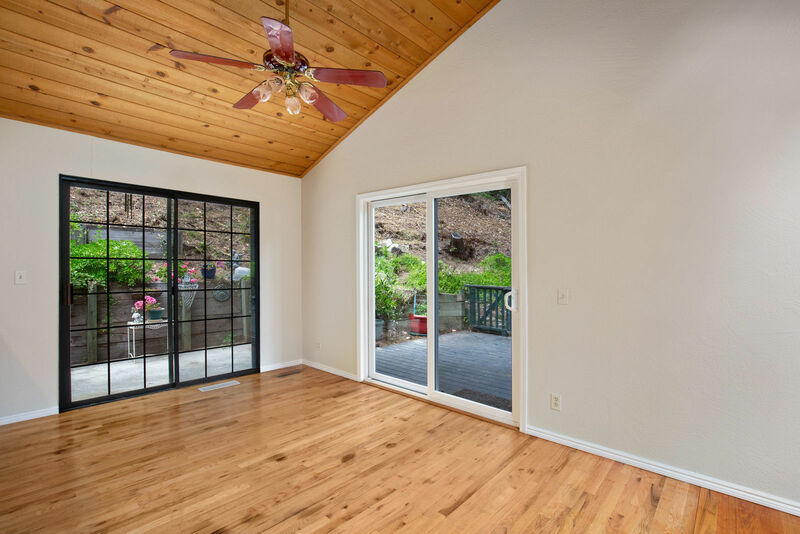 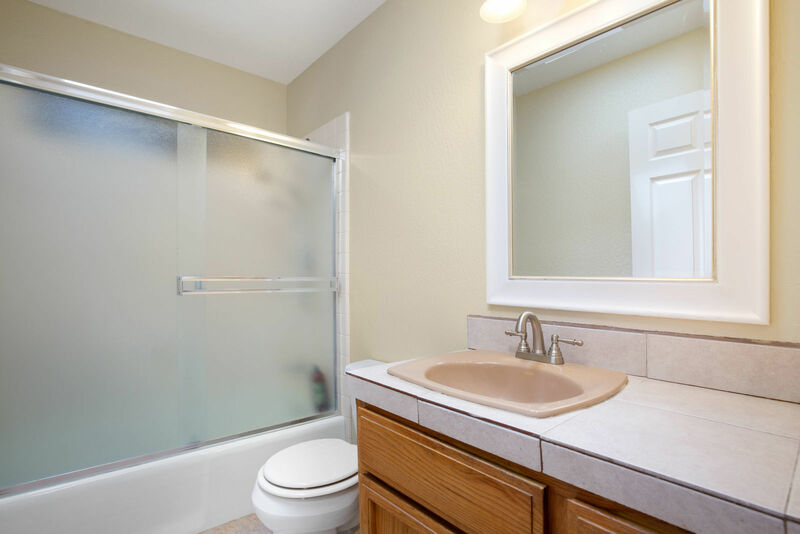 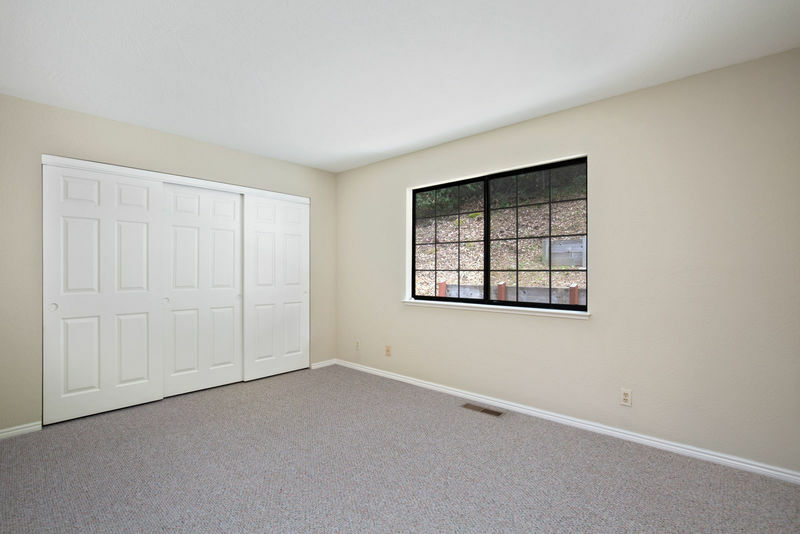 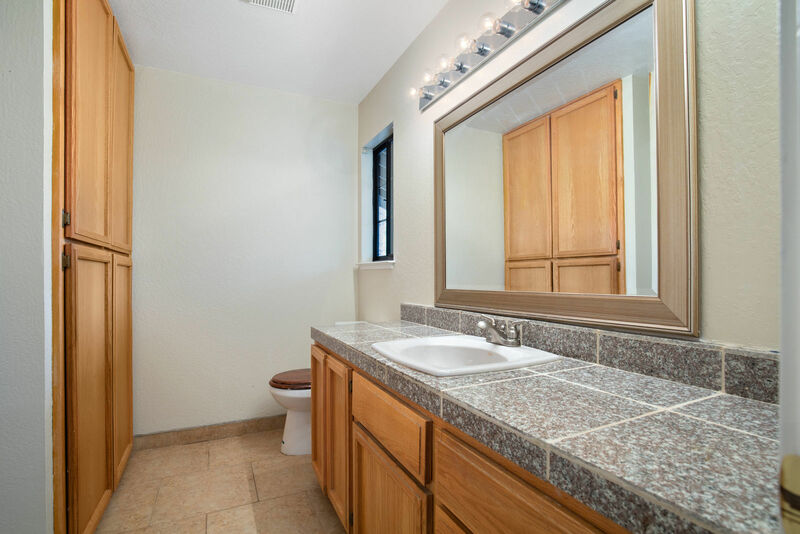 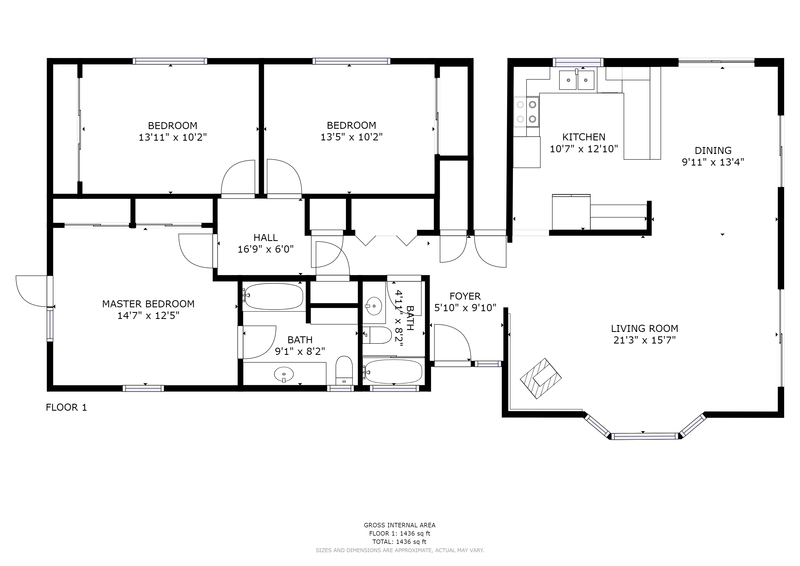 This 3 bed/ 2 bath home has a nice flowing floor plan with multiple accesses, including french doors in the master bedroom, that take you out to the large decks that wrap around the home. 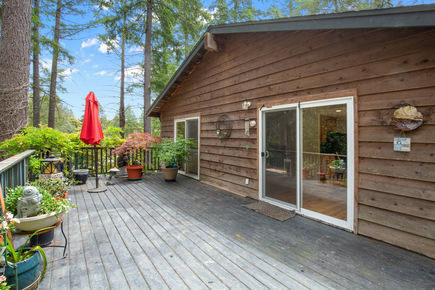 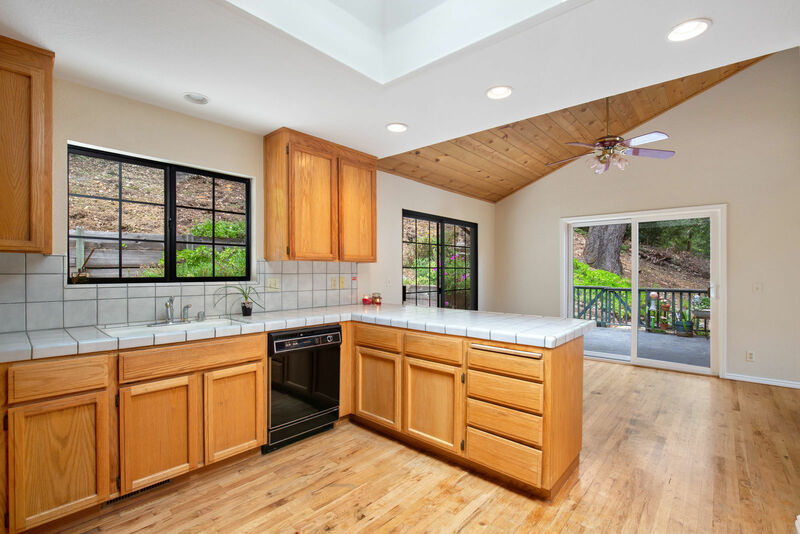 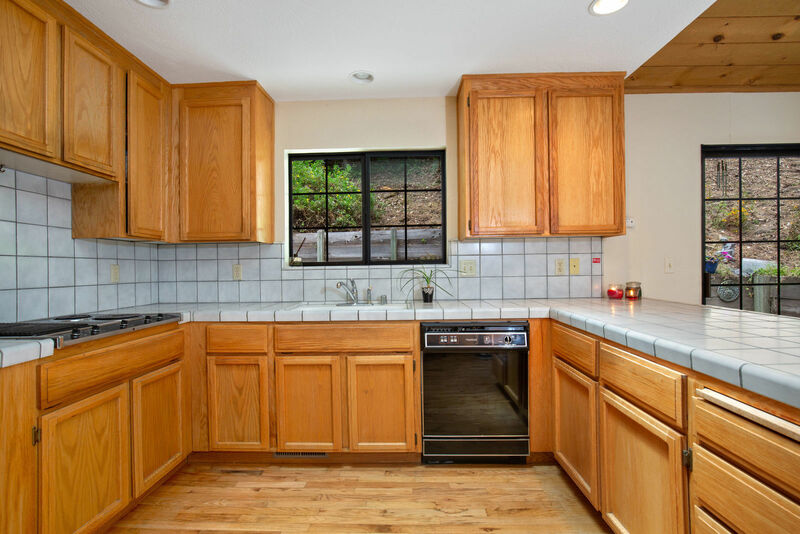 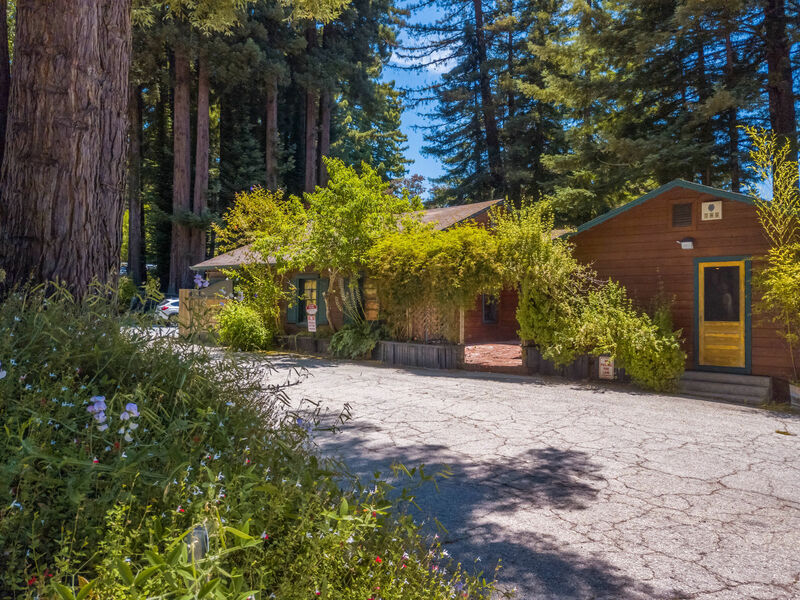 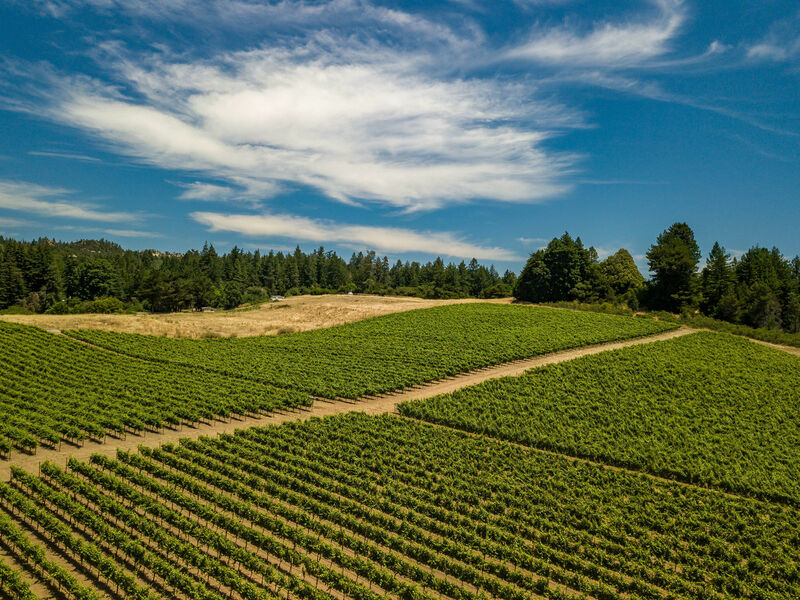 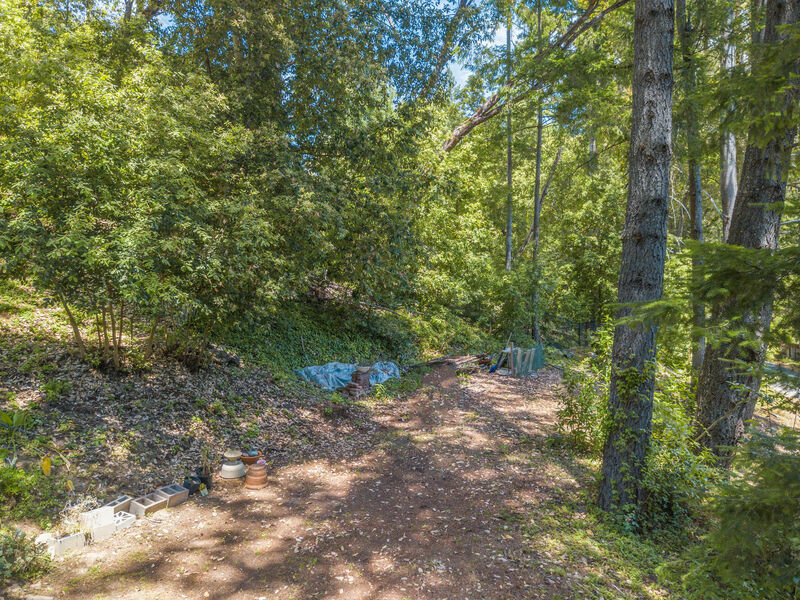 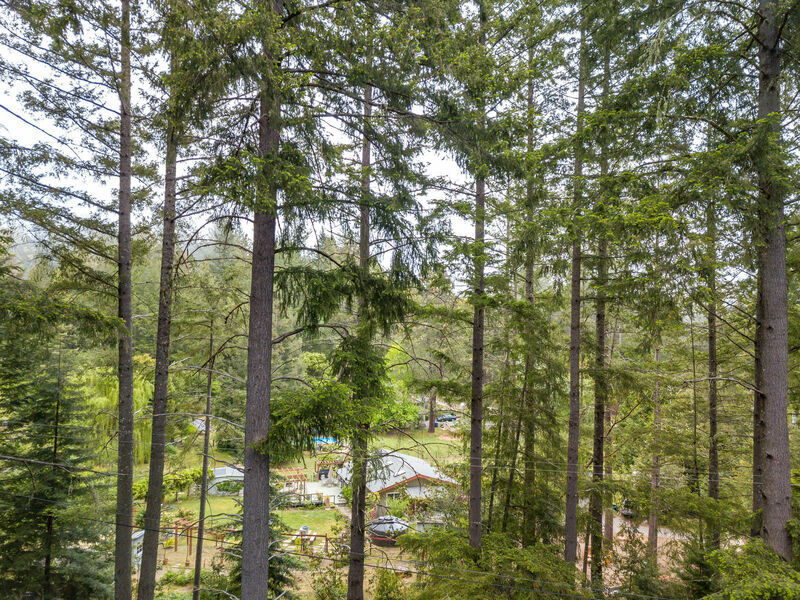 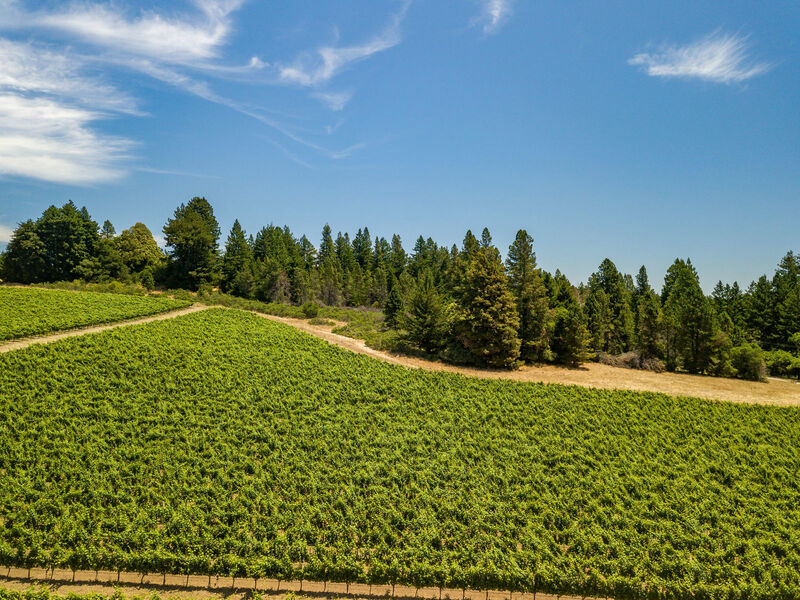 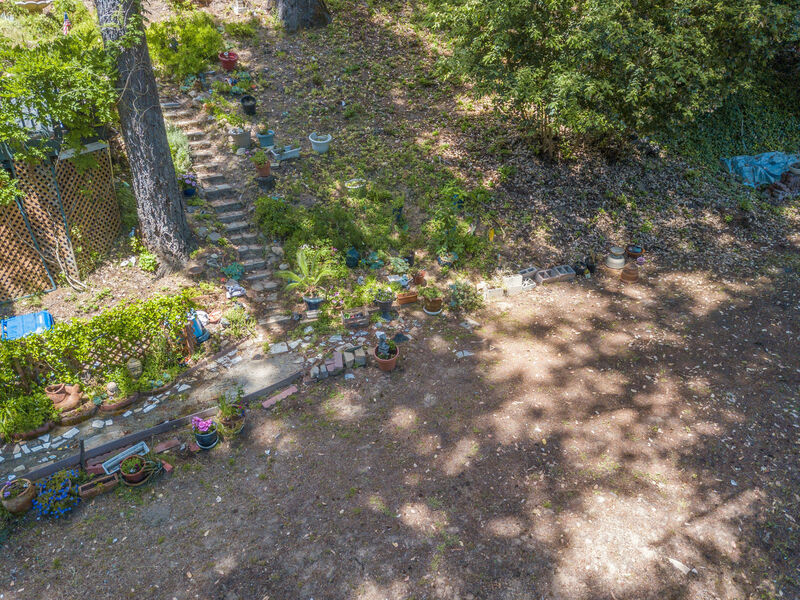 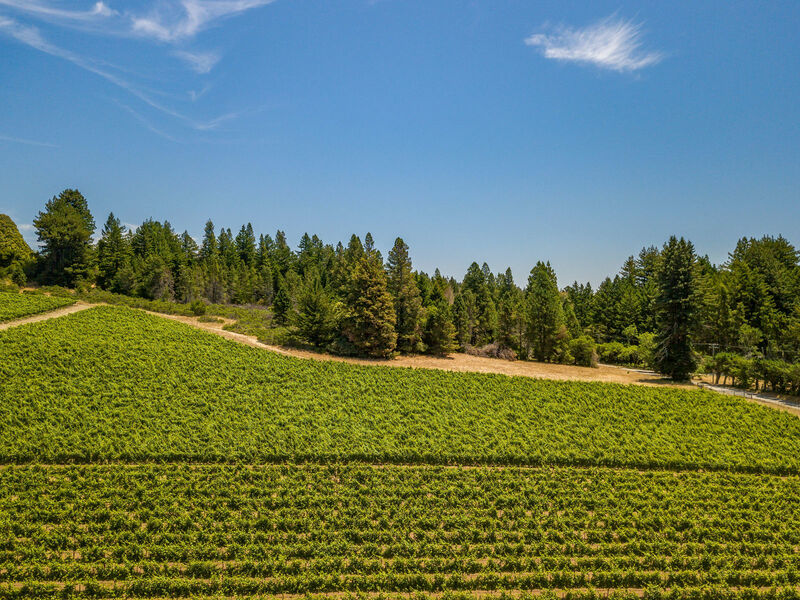 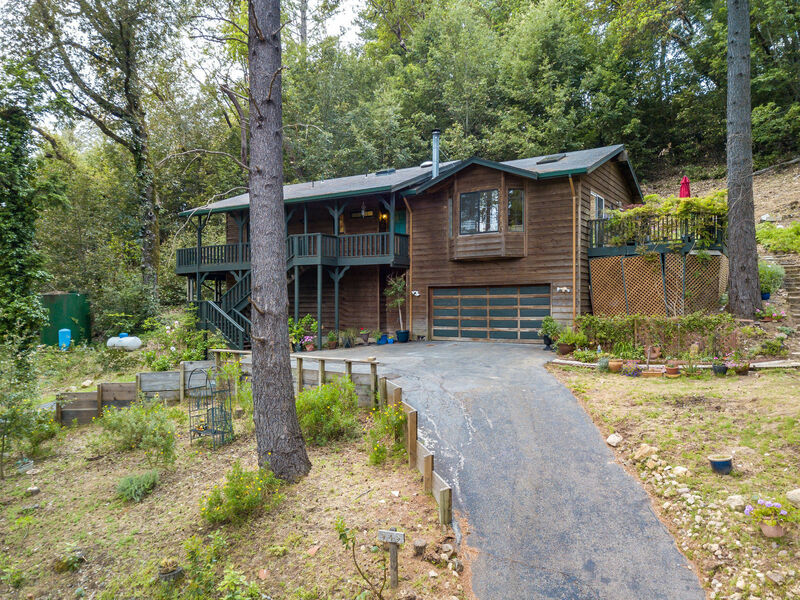 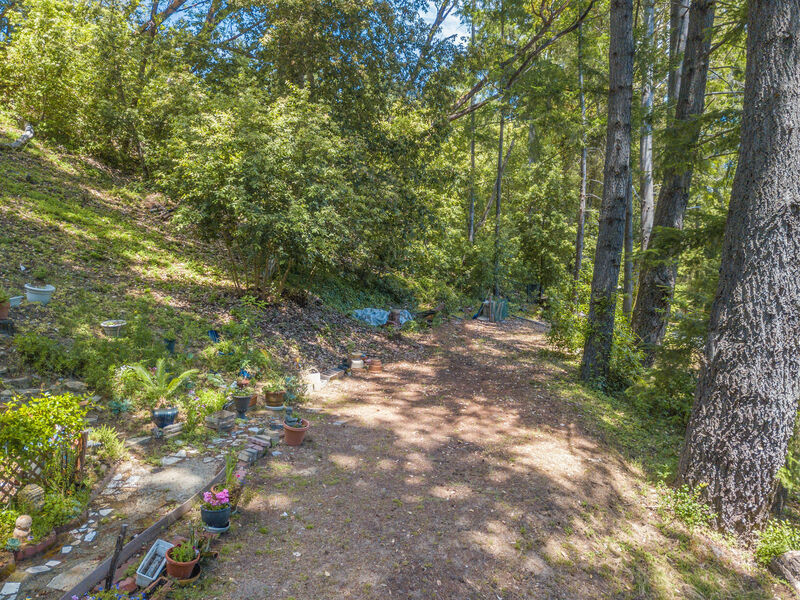 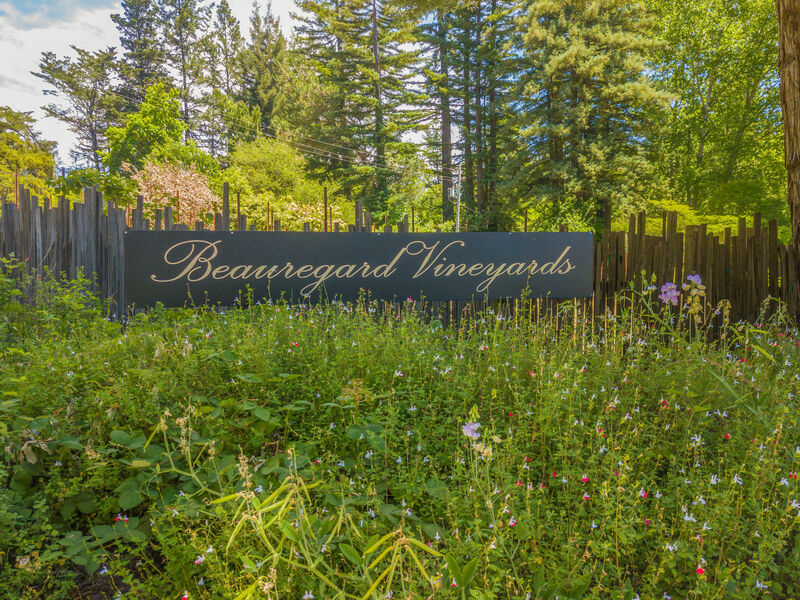 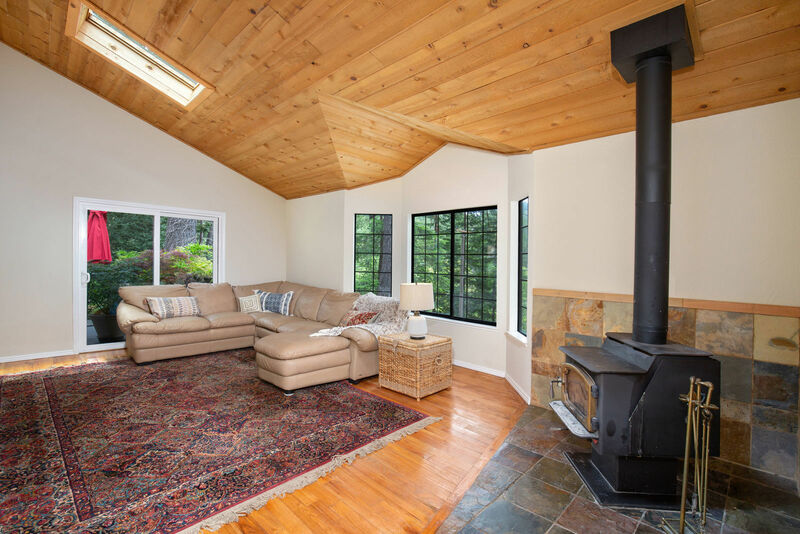 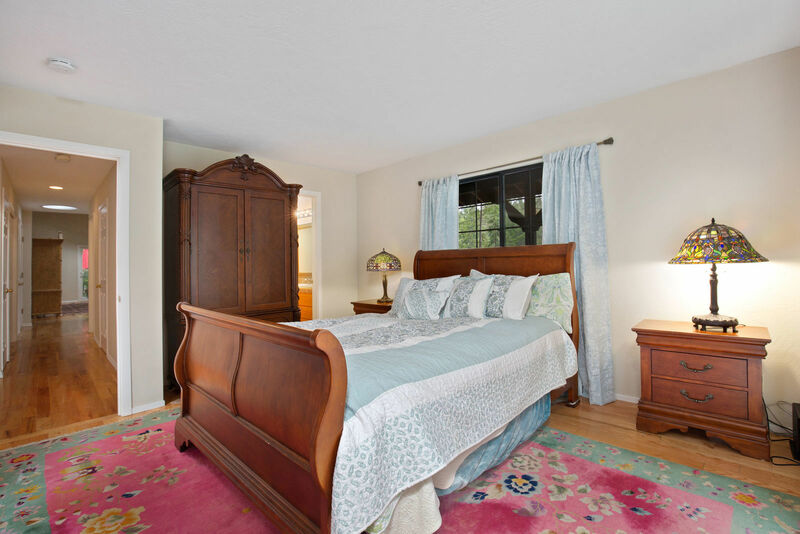 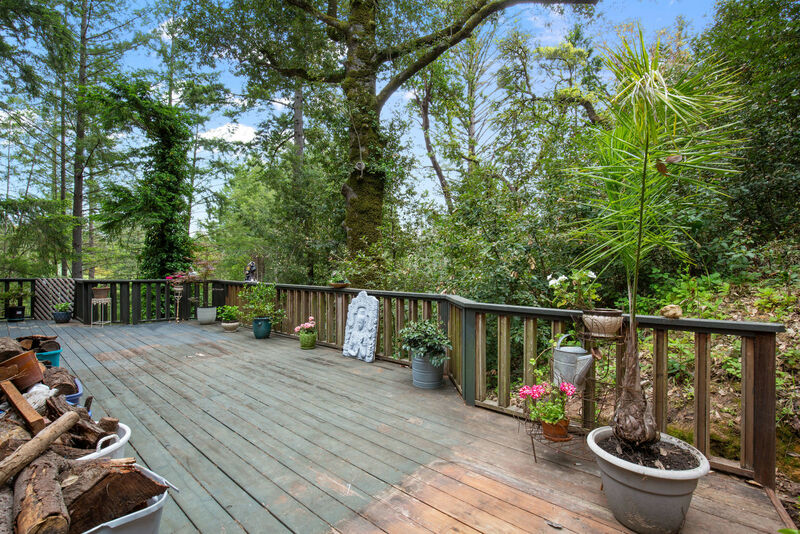 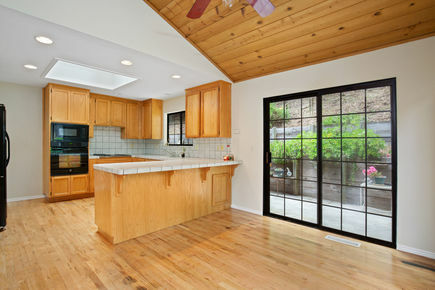 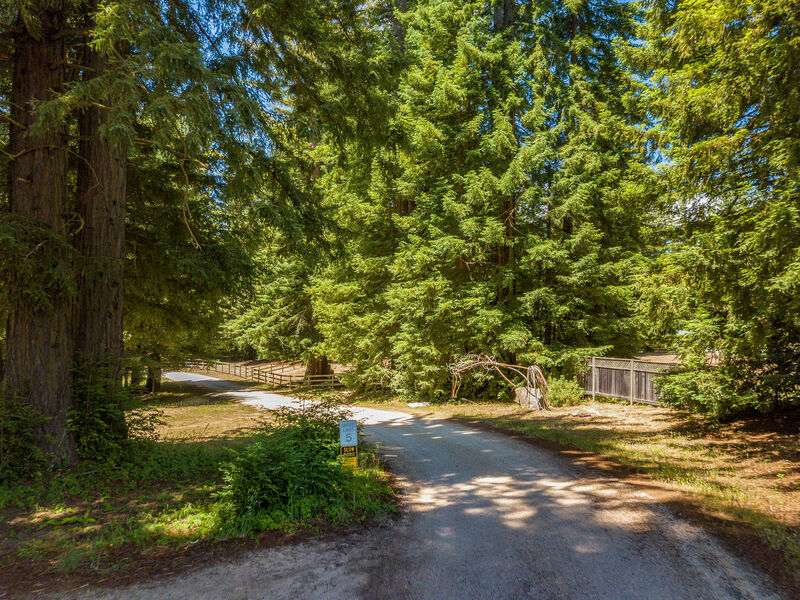 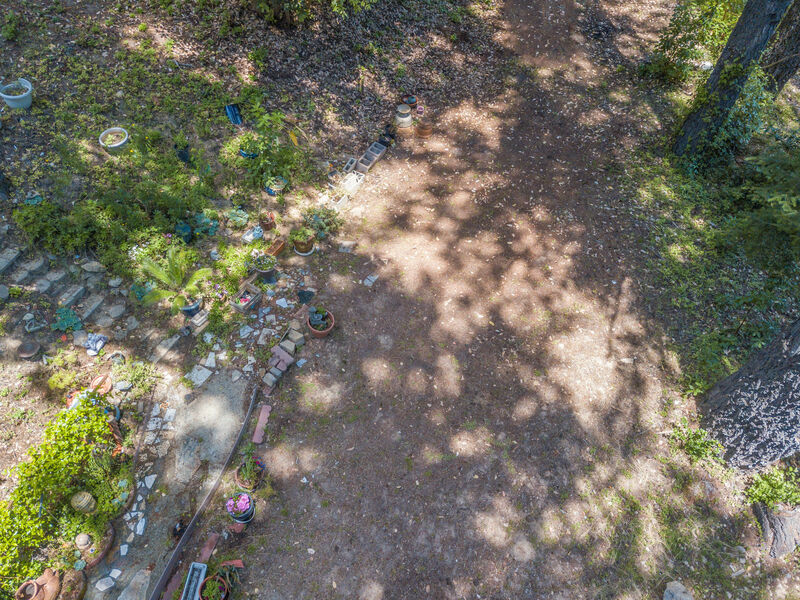 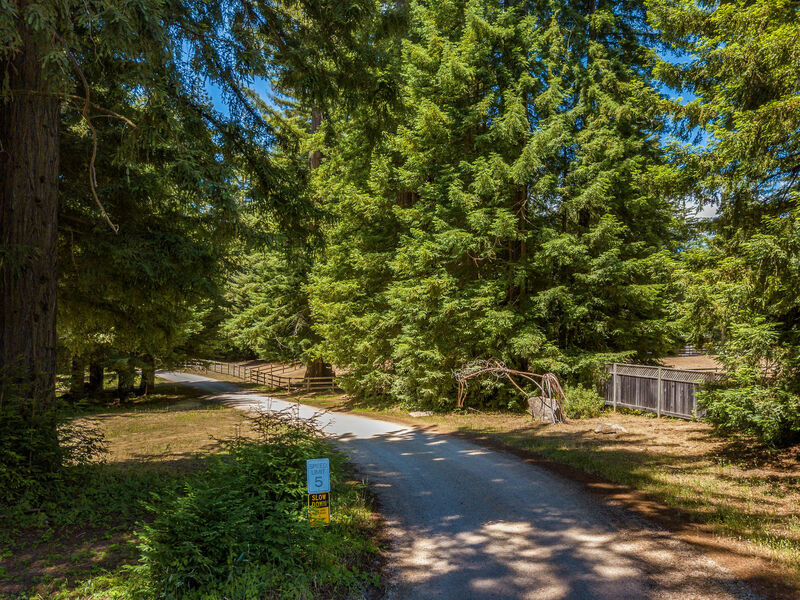 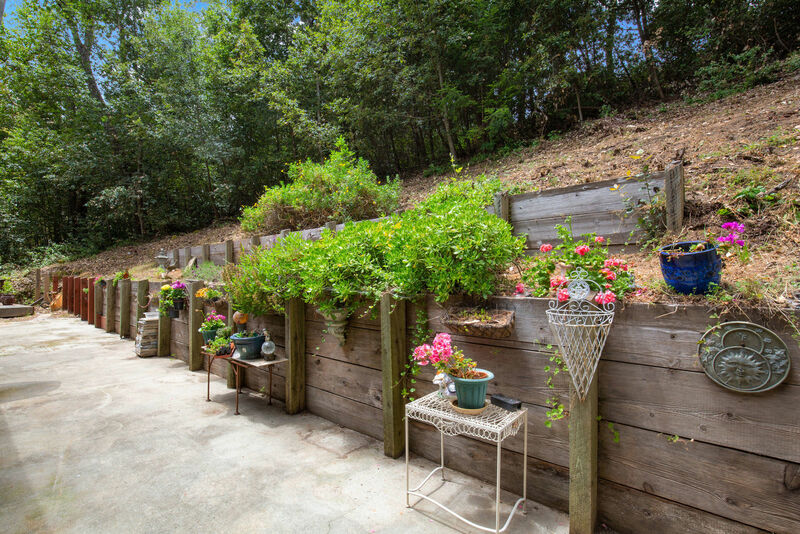 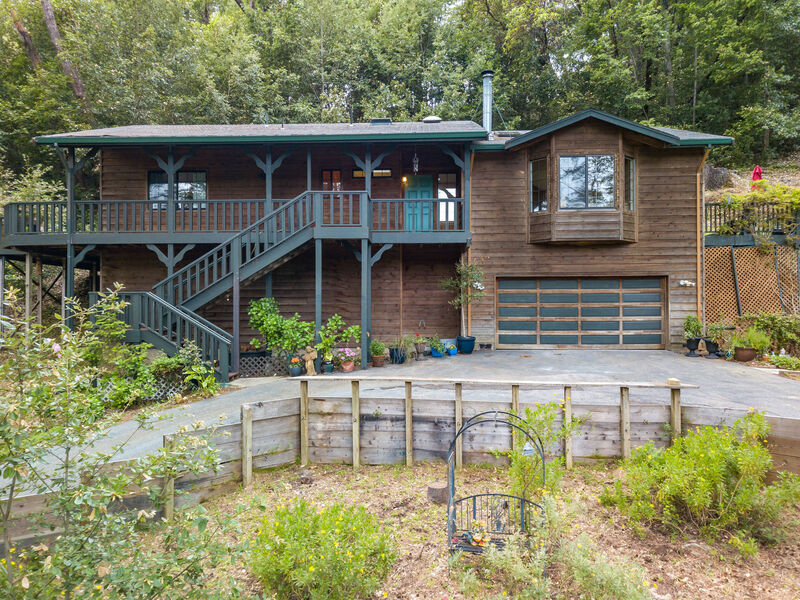 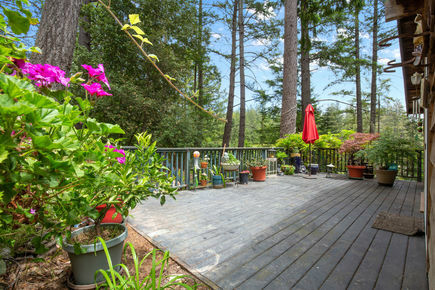 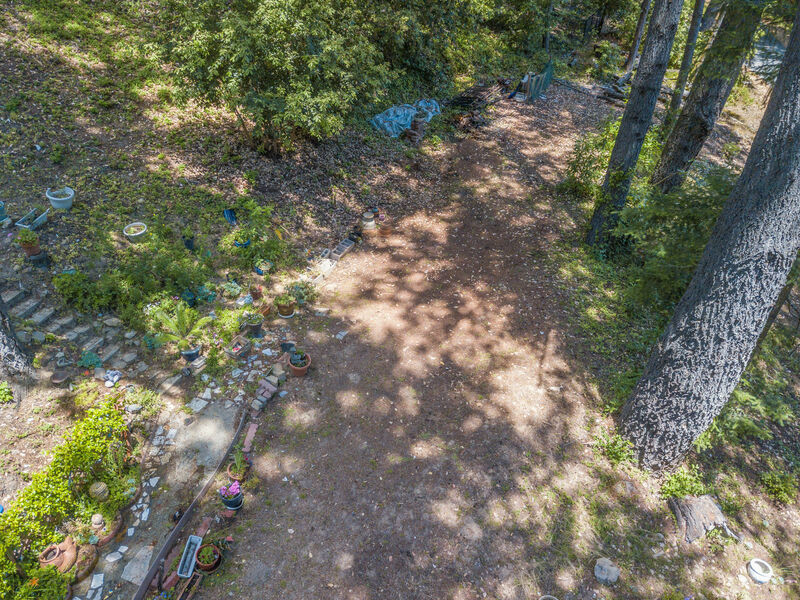 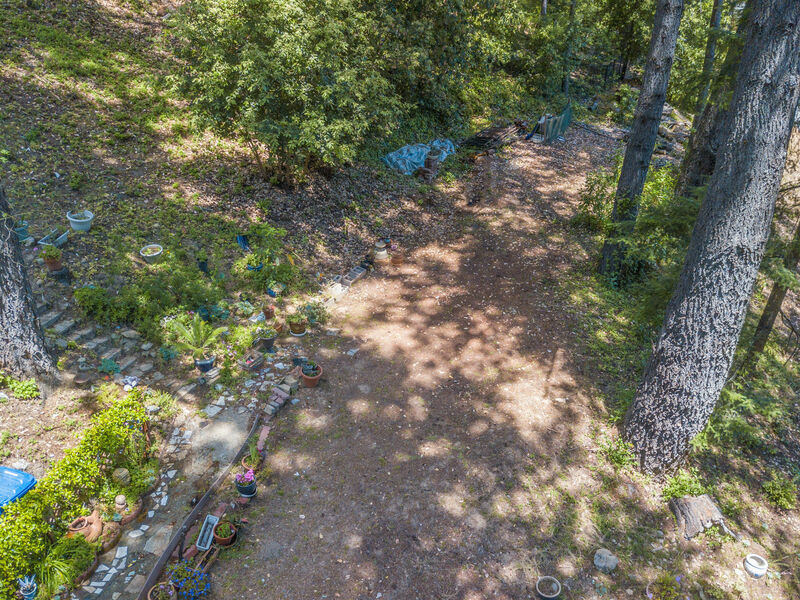 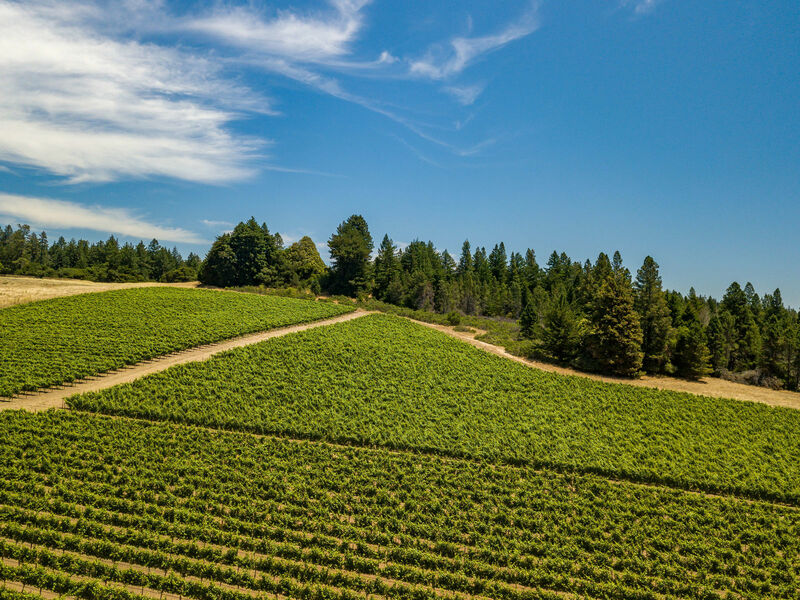 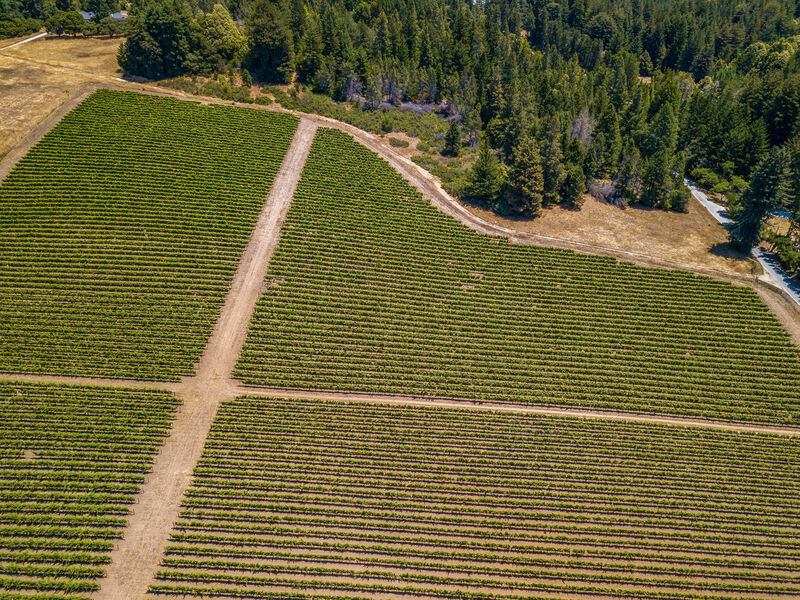 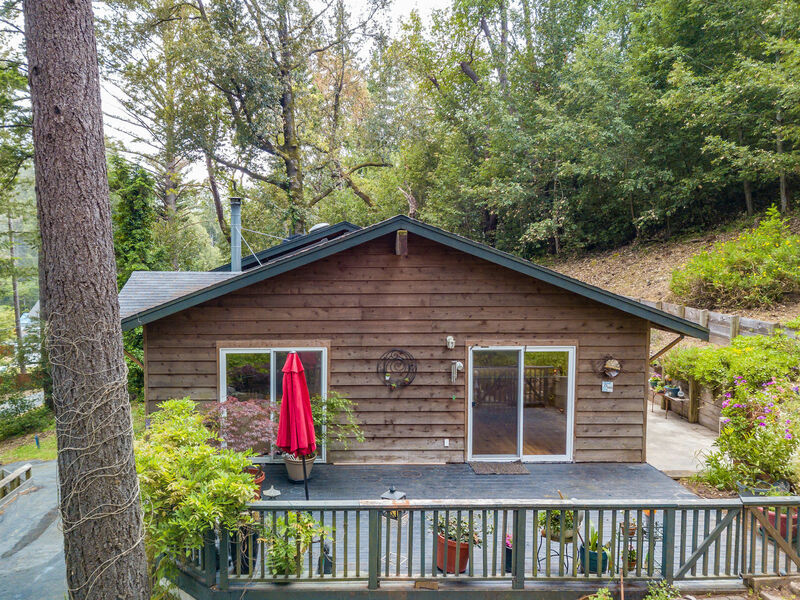 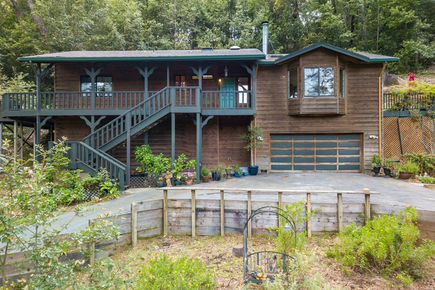 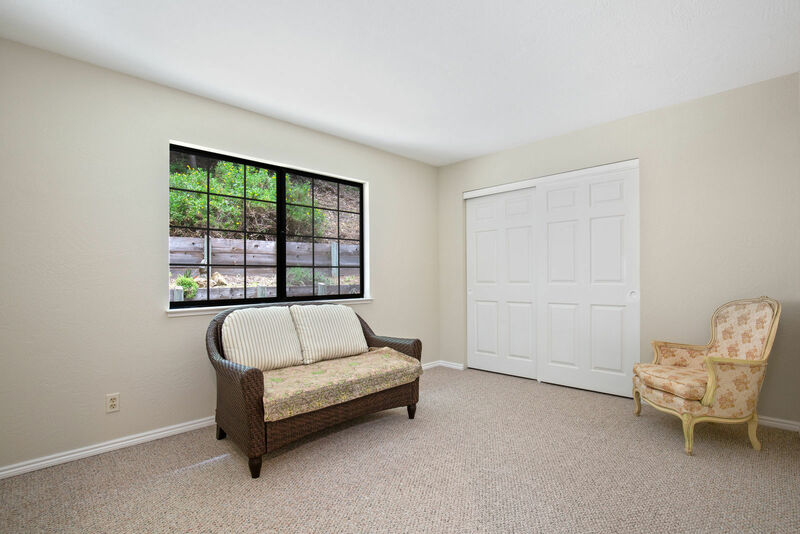 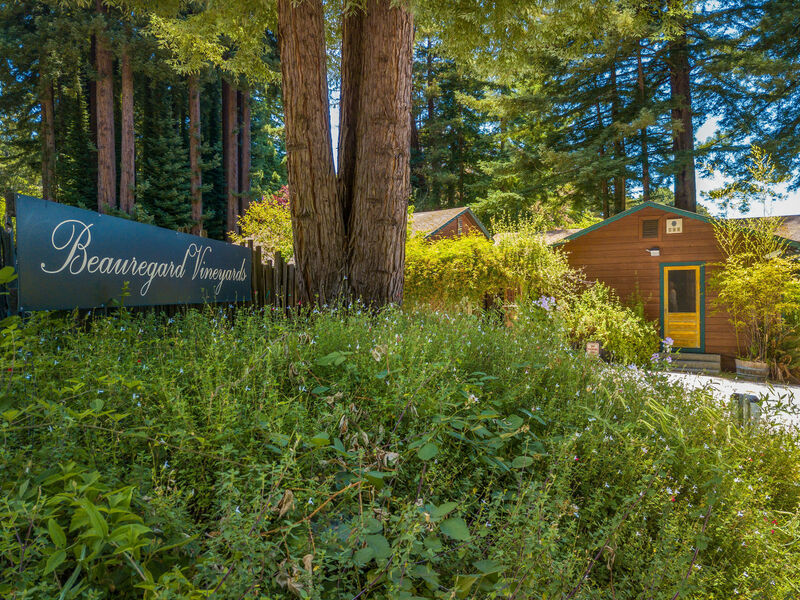 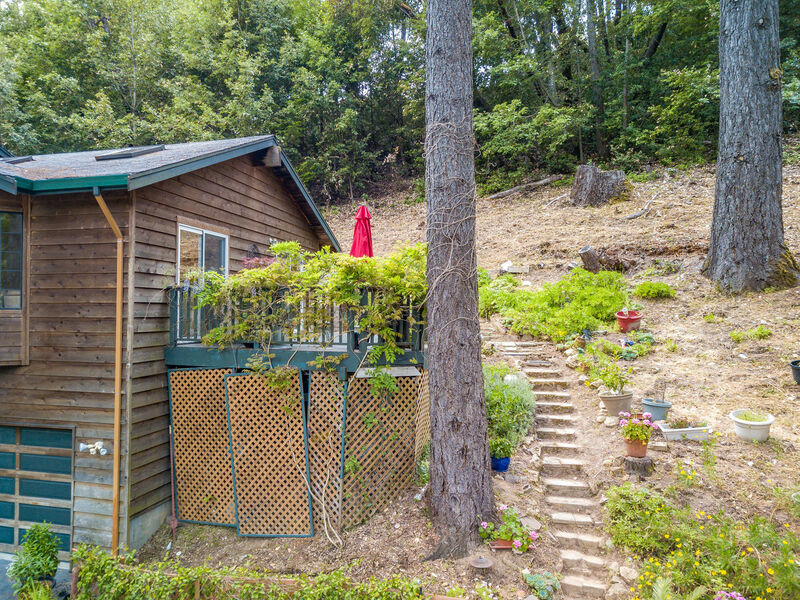 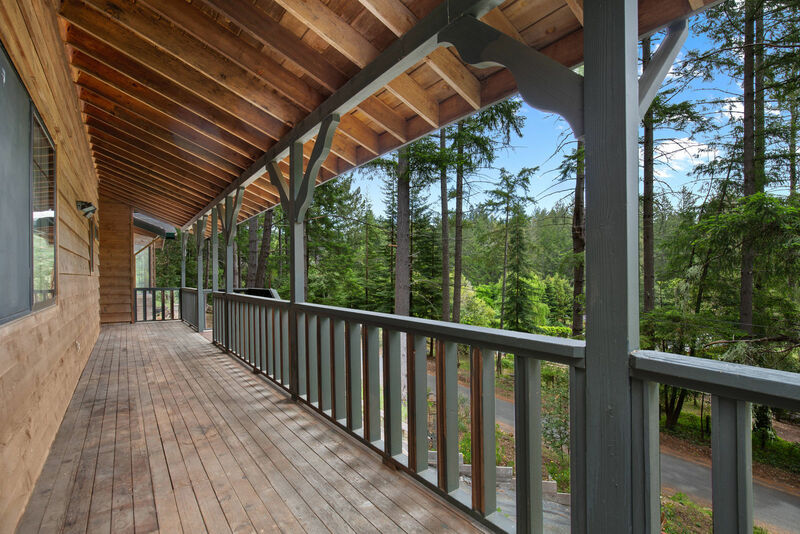 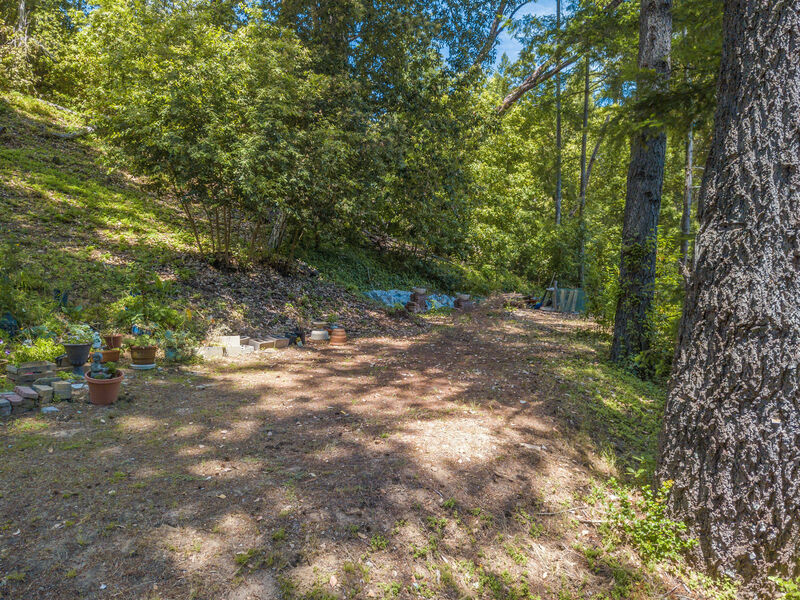 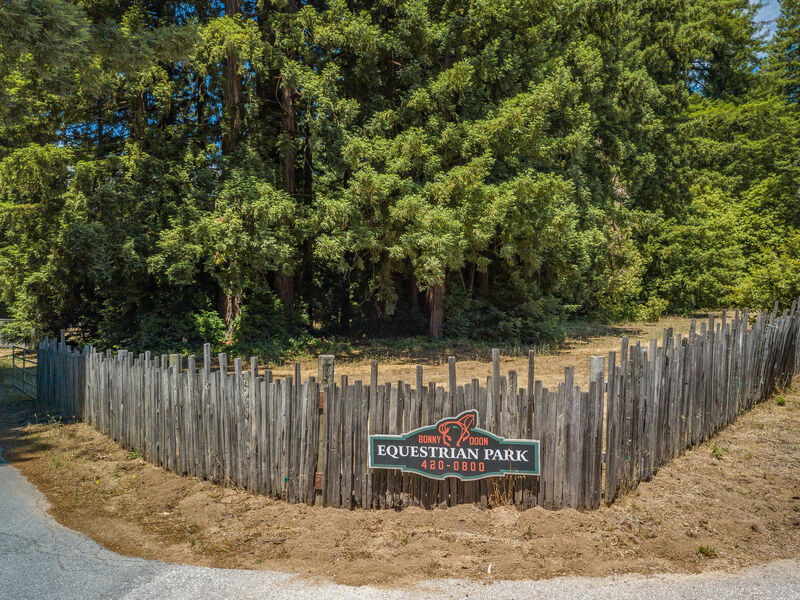 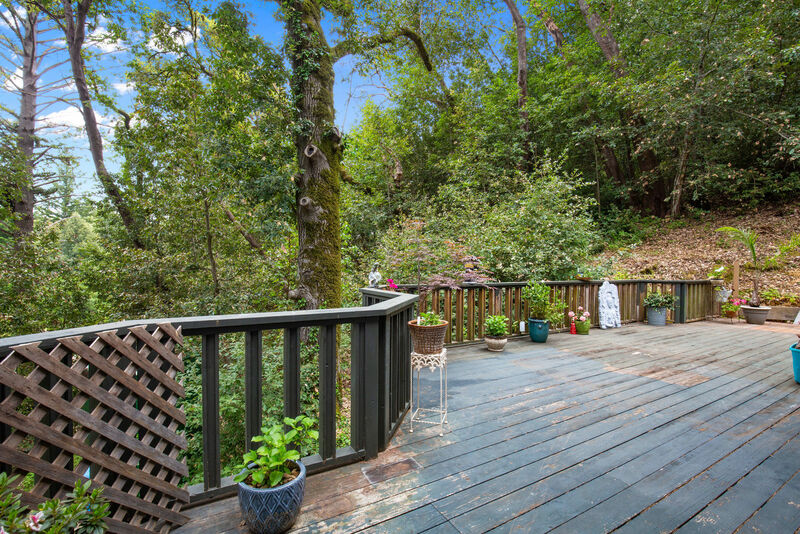 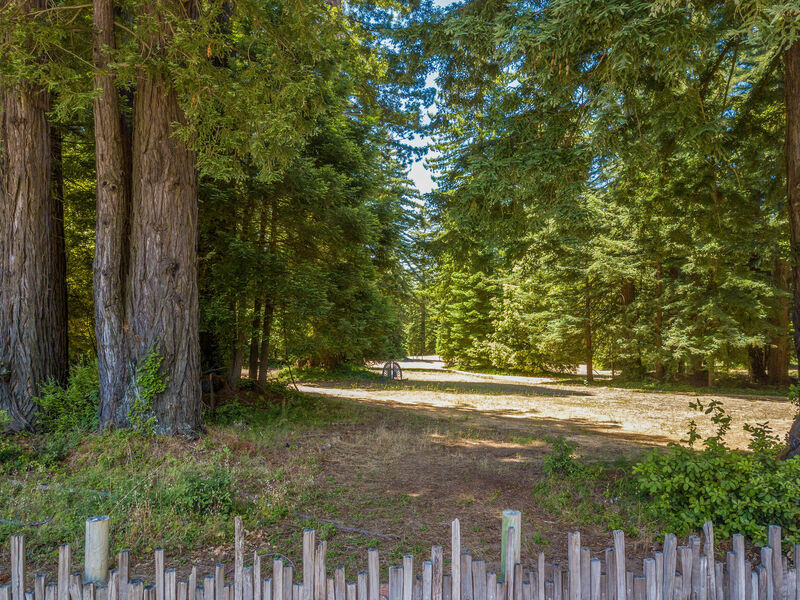 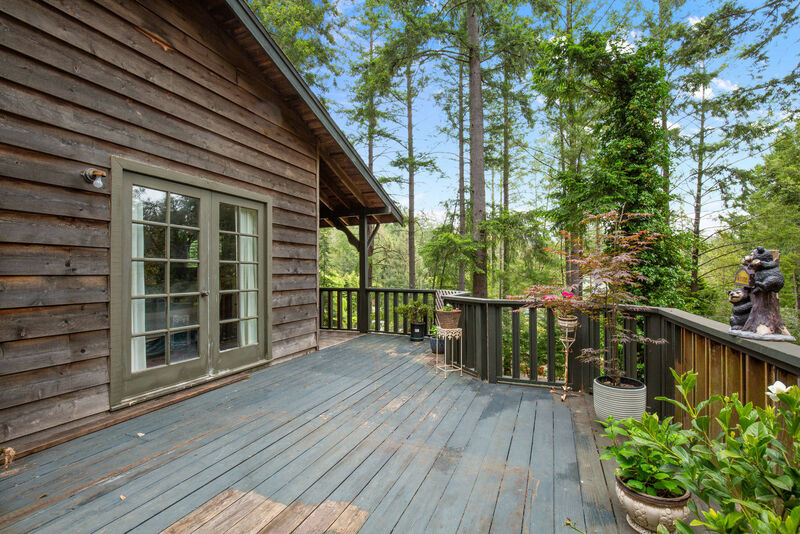 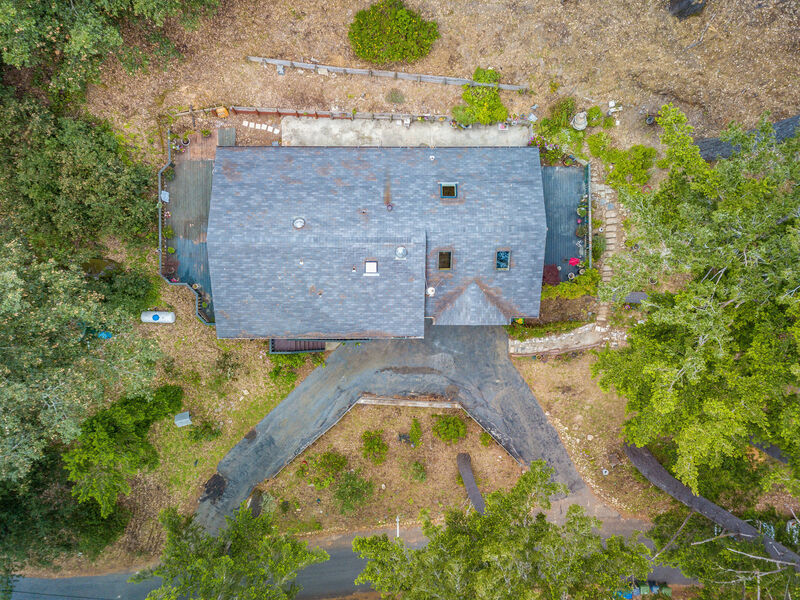 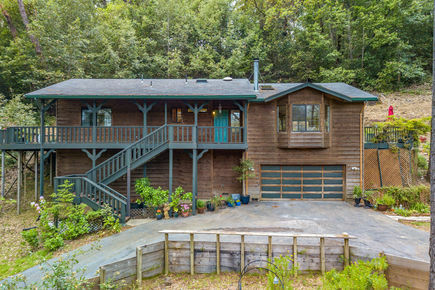 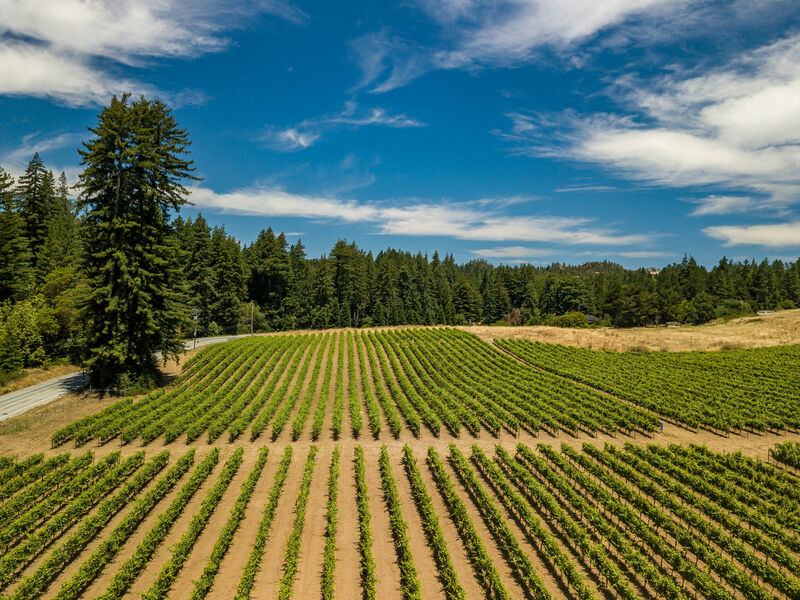 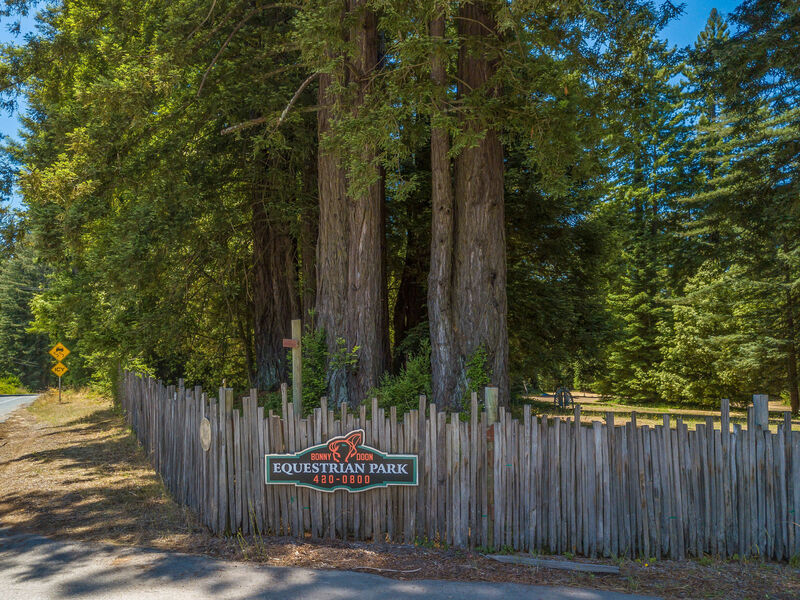 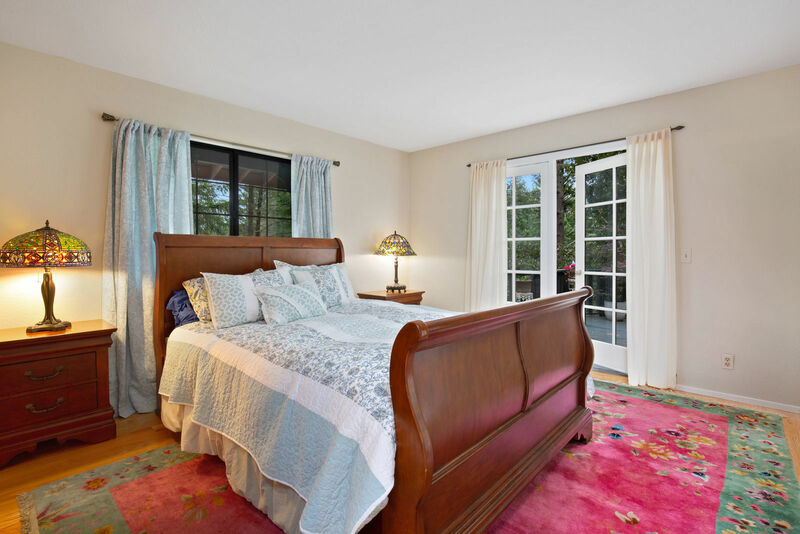 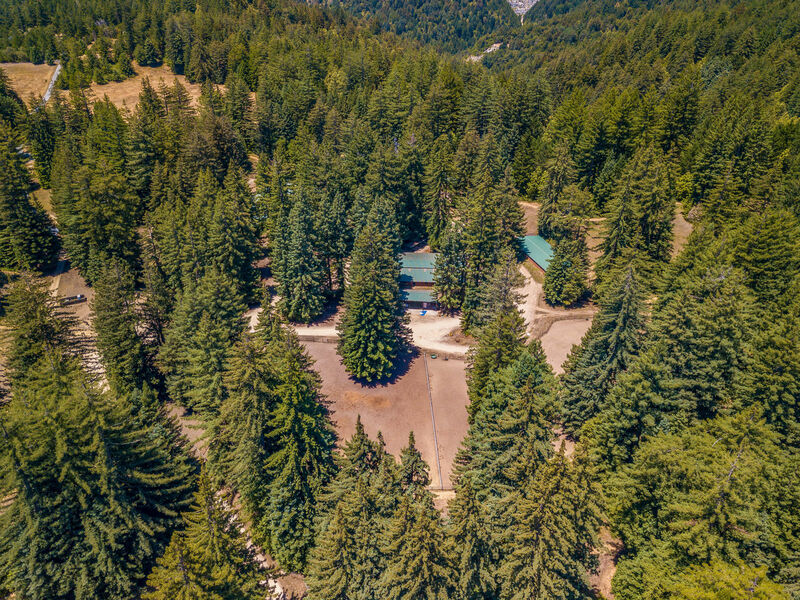 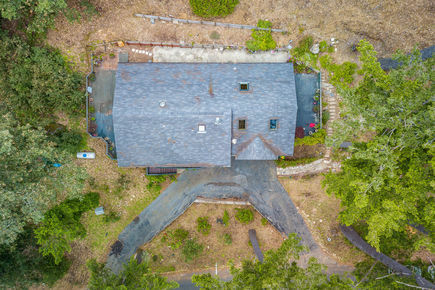 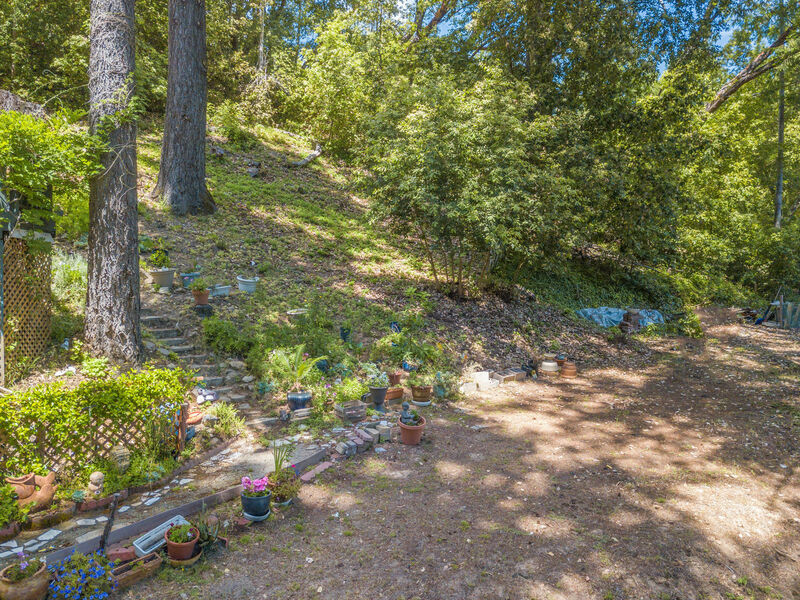 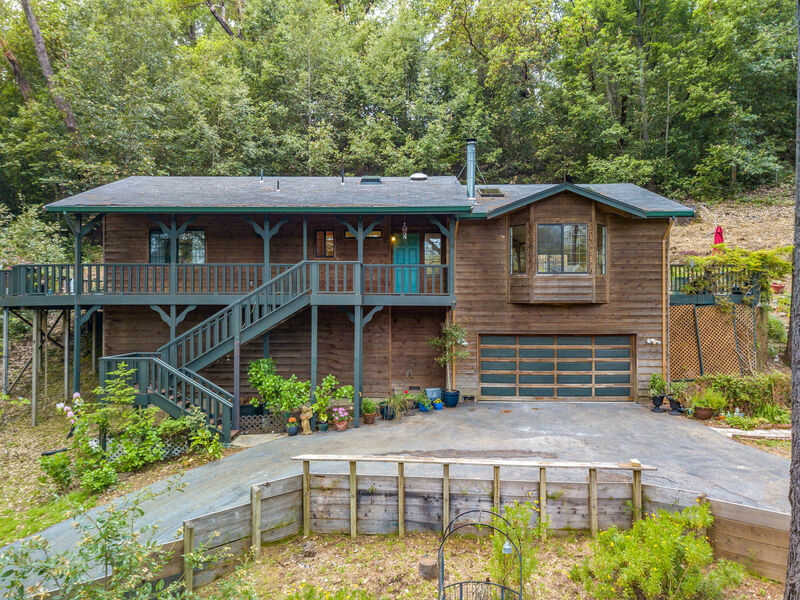 Nestled in a friendly neighborhood this property of over an acre is just right around the corner from award-winning Bonny Doon Elementary School, close to Ecological Reserve with trails, wineries, and just about 10 minutes to north Santa Cruz coastline Beaches!